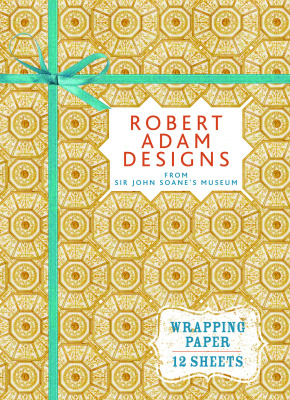 Twelve sheets of high-quality gift wrap with a unique design. 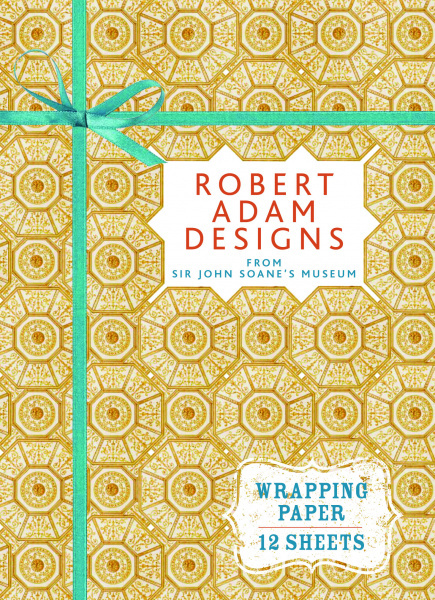 This collection of 12 sheets of quality standard-size (500 x 700mm) gift wrap features drawings by Robert Adam. In 1883 Sir John Soane purchased 9,000 drawings and watercolours by Robert Adam and his brothers - the richest collection of architectural drawings in Britain and an untapped treasure trove of unique designs for ceilings, carpets, wallpaper and much more. Robert Adam (3 July 1728 – 3 March 1792) was a Scottish neoclassical architect, interior designer and furniture designer. "This year, avoid the usual struggle with rolls of wrapping paper and pick up this nifty gift-wrap book instead. It includes 12 sheets of beautifully designed, top-quality wrap."